It’s a bumper year for blackberries and we had our first blackberry and apple pie a few weeks ago. 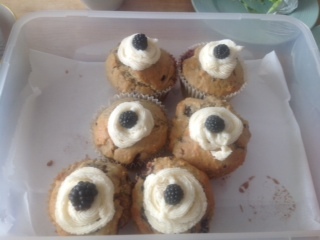 Our two first new hedgerow recipes are a great new takes on this most popular of hedgerow harvests – Blackberry Curuaco from Jean and Blackberry Muffins from Melissa (who has also promised us her recipe for Blackberry Ketchup!). Check them out on the Recipes page.